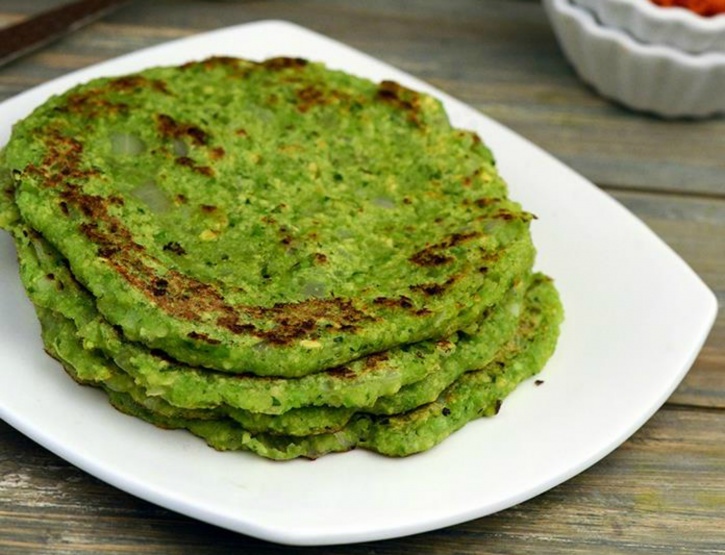 Combine the soaked and drained moon dal, green peas, chillies, coriander and ginger and blend in a mixer using little water to make a thick batter. Transfer the batter into a deep bowl, add the onions and salt and mix well. Pour a spoonful of the batter on it and spread in a circular motion to make 120 mm. (5”) thick round.